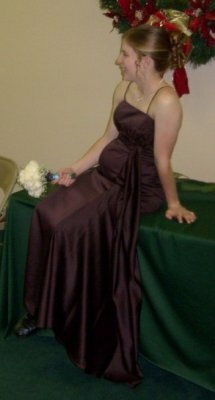 Here is a previously unreleased photo of Amy Cahill at a friends wedding. An obvious growth of the belly cannot be hidden in the styles of this day and age. Comment from the apparent mom-to-be is pending – confirmation of suspicions are eminent. Just register your interest by leaving comments and all the family secrets will be revealed.